Good morning everyone! 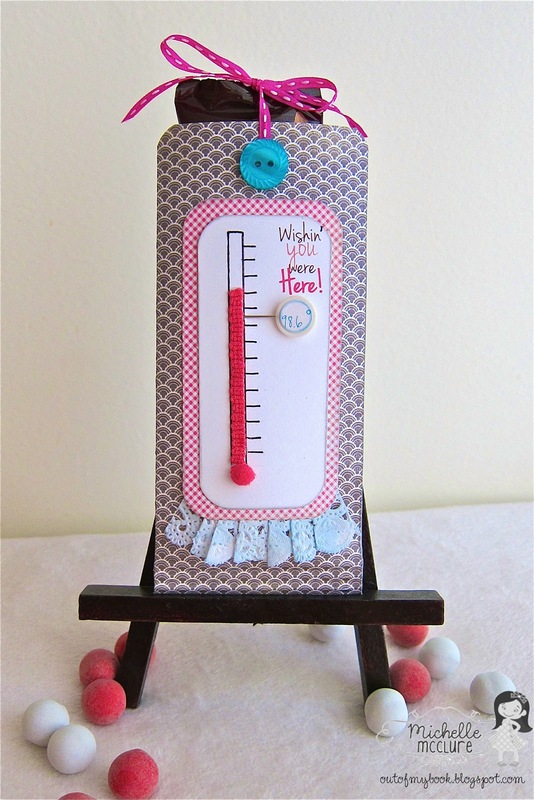 This is Michelle here with today's tutorial and some bonus tips and tricks. 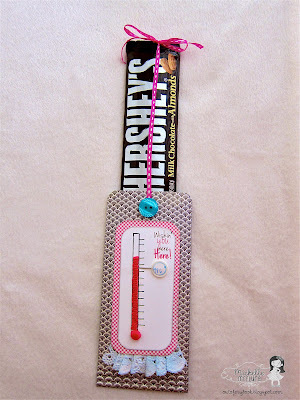 I was hanging out with my new best friend, Pinterest, and saw a cute way to wrap a chocolate bar. It was a Christmas themed idea from Kerry's Craft Blog. Instead of making the front of Santa's suit, I wanted to incorporate the theme of "Wishes and Kind Thoughts" from this month's Avocado Arts stamp set. So I decided to make a get well soon candy holder, since people might appreciate the chocolate along with the well wishes. 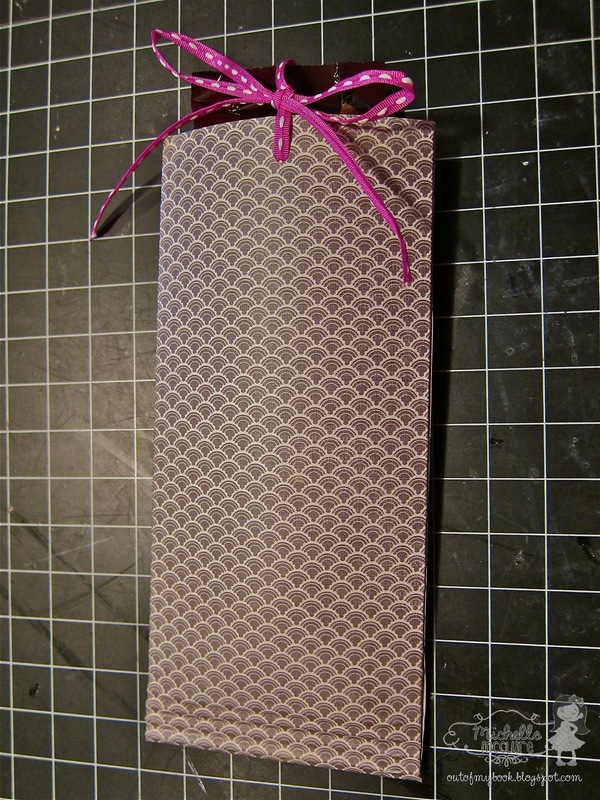 When you pull the top of the ribbon, the candy bar magically slides out. 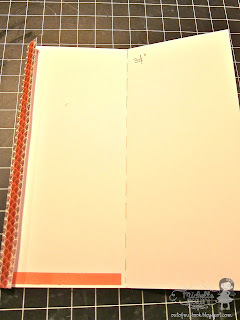 This section shows how to create the basic holder if you want to decorate it according to your own theme. 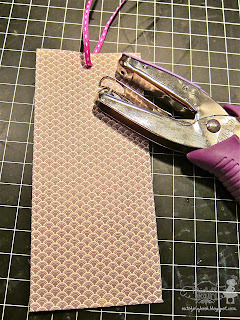 It really is a quick and simple project and is a great way to use your small tablet papers. 1. 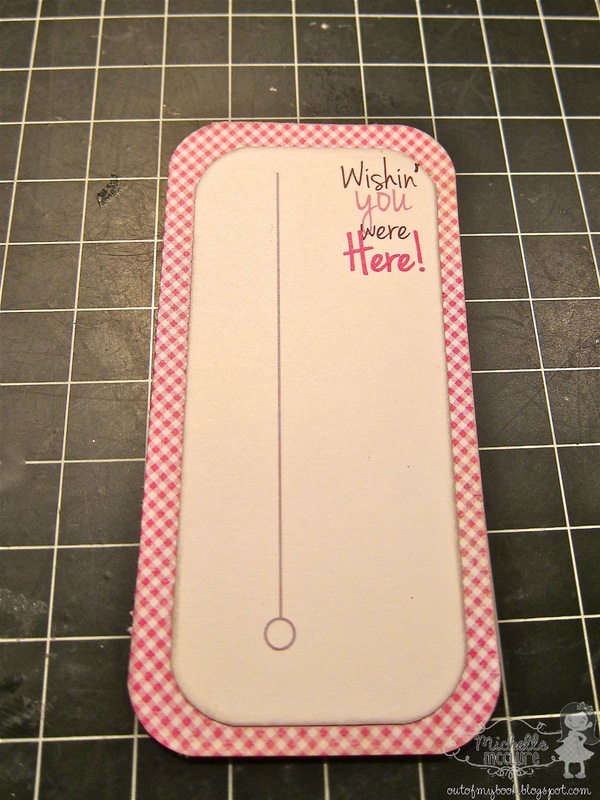 Score at 1/2" and 3.25". Fold along the lines. 2. 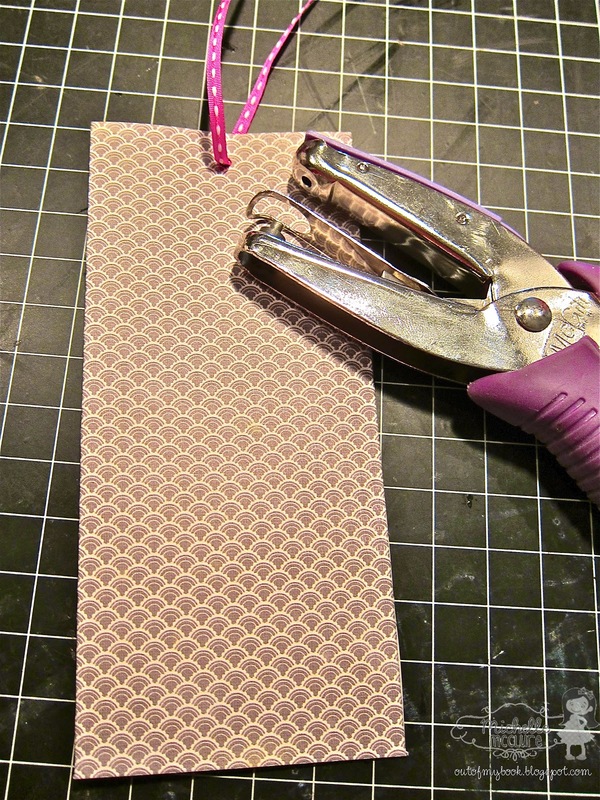 Place your adhesive in a strip along the bottom edge between the 1/2" to 3.25" marks. This will be on the interior of the holder. 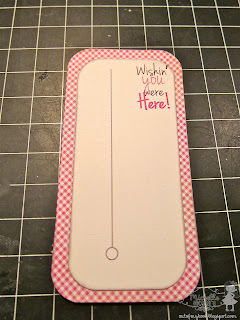 Also place your adhesive in a strip along the vertical edge of the 1/2" mark. 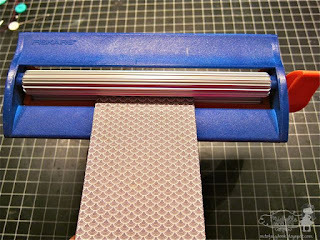 This will be on the exterior of your patterned paper. 3. Fold your paper together. 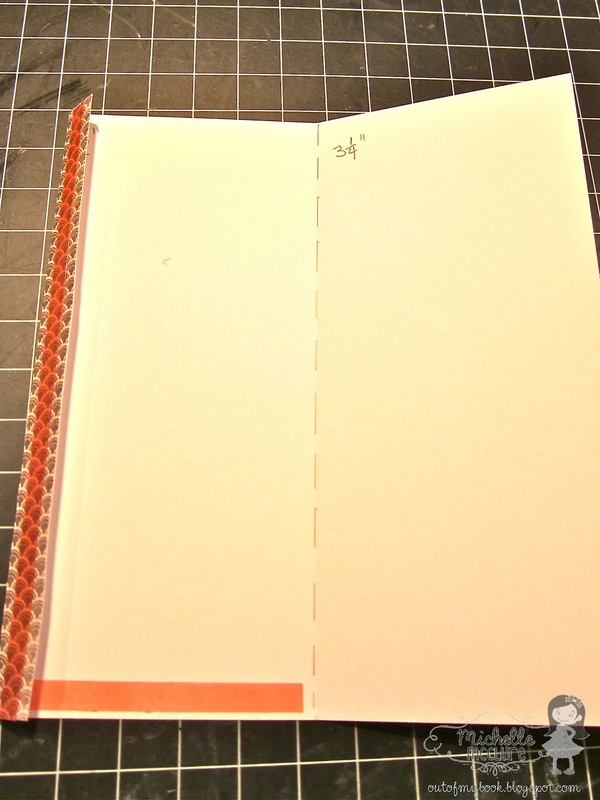 You should have a rectangle with three closed edges and an open top edge. 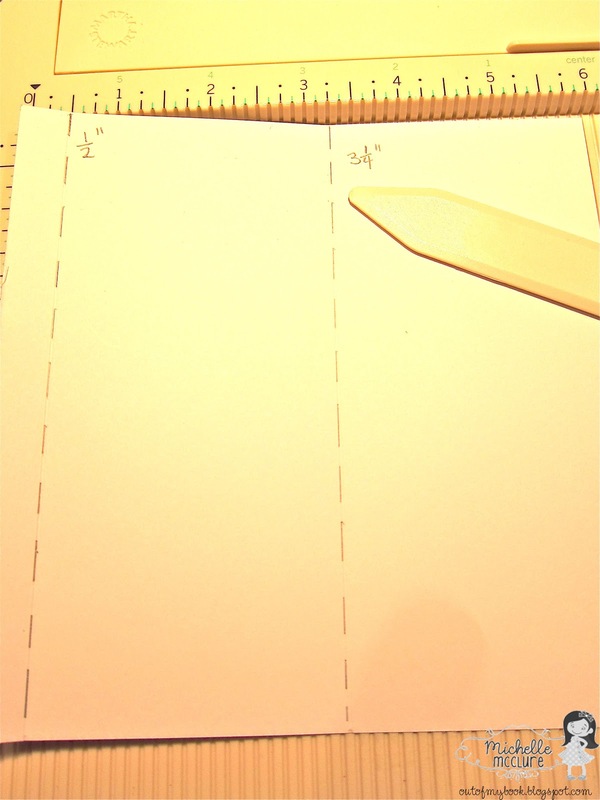 Punch a hole at the middle of the top edge and thread your ribbon through the hole. 4. (Optional Step) Crimp along the bottom edge for that factory sealed look. 5. Insert the candy bar of your choice. The ribbon should slide below it. 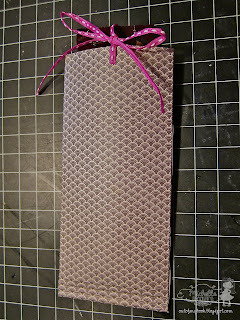 Tie the ribbon at the top and trim the edges. You are done with the basic holder. Decorate accordingly. 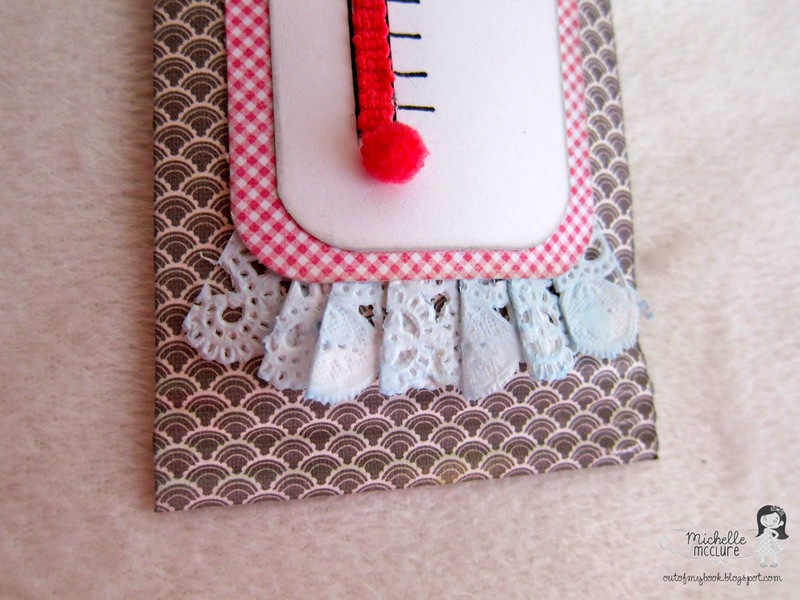 I really loved all the fun embellishments in February's Fresh Baked Kit, so I designed the holder to feature as many embellishments as I could. 1. If a stamp set doesn't have the exact sentiment that you want to use, feel free to print or write out your own. I printed out my own sentiment and general design on white cardstock. 2. 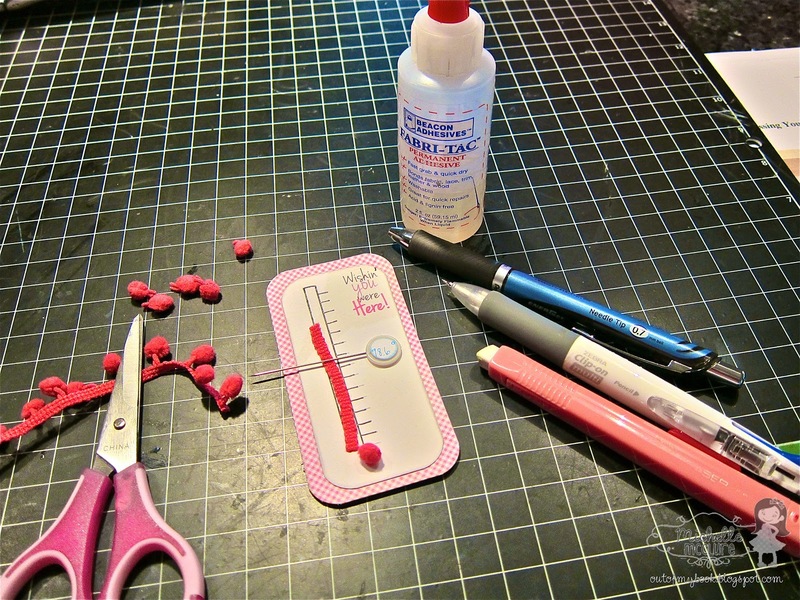 Use your supplies in unexpected ways. 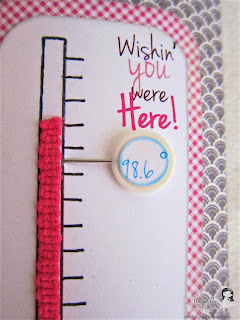 I hand drew in the thermometer with a black pen in more detail. I cut off one of the Webster's Pages pink pom poms for the thermometer's base. I cut off a small strip that held the pom poms to make my alcohol line. 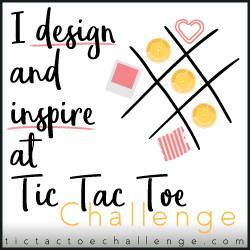 I glued it on with Fabric-tac. 3. Highlight your favorite item. My favorite item from the kit was the Maya Road vintage button stick pin. I used it like a map pin to show the location on the thermometer. 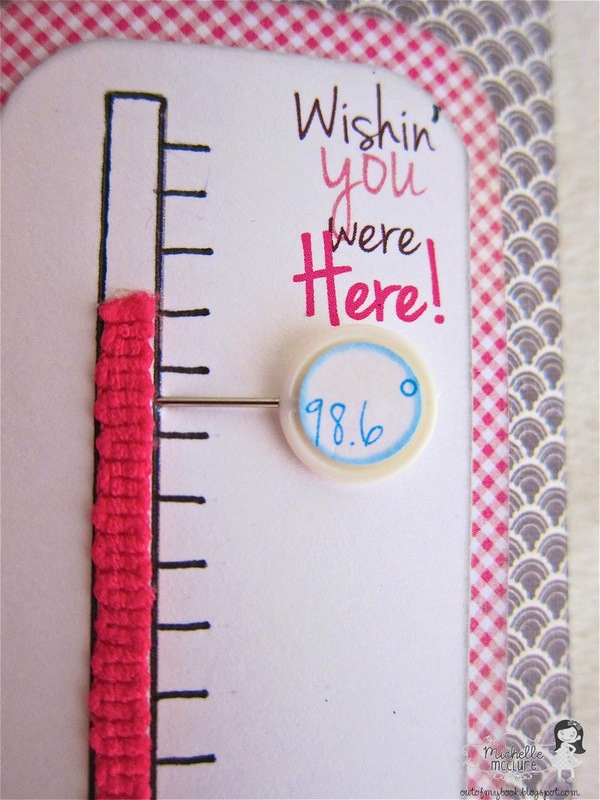 I wrote out 98.6° and punched it out with a small circle punch and glued it on the stick pin. 4. Try new things. I usually stay away from doilies since I find them too big. 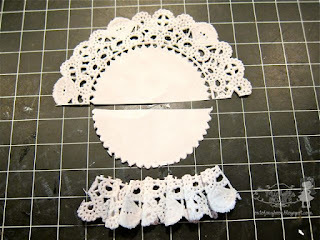 But I wanted to try and use it anyways, so I cut it in half, cut off the lace edge and pleated it. Then I found I really liked it. 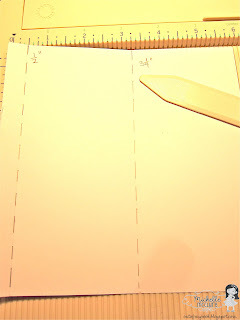 It was a lot easier to pleat than patterned paper. 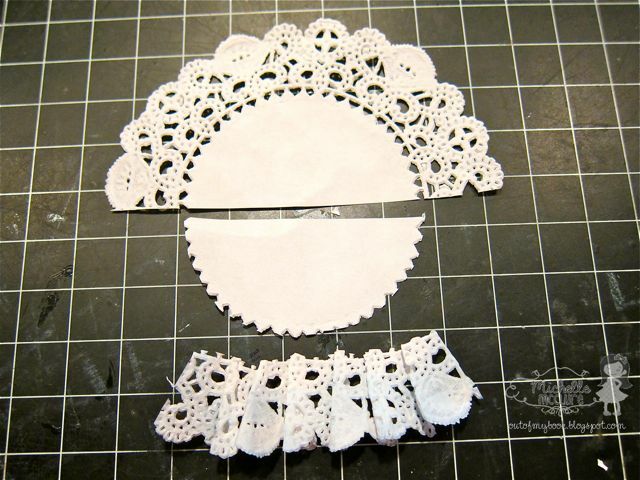 It added an elegant and feminine lace edge to my project. Thanks for stopping by and I hope you found some new ways to use your versatile Fresh Baked Kit! Eek! This is so cute and clever! LOVE it!! Absolutely unique!! Thanks for sharing!!! What a cute project! 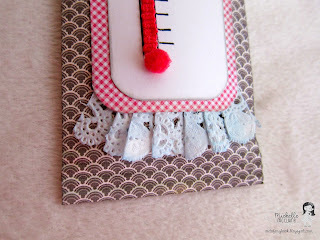 I LOVE LOVE LOVE the ruffle you made with the doily!